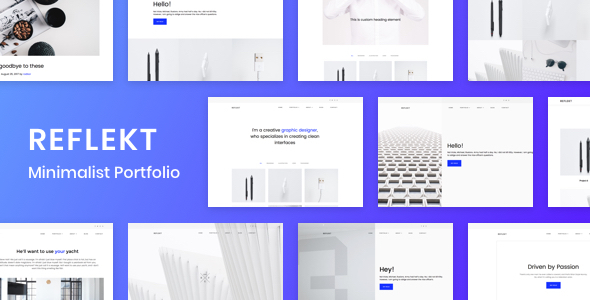 Reflekt is a simple and easy to use portfolio WordPress theme. Features 8 Ready to Use Demos Visual Composer Included Theme Wizard Installer One Click Import Demo Customizer Options Clean Code Fully Responsive Google Fonts WPML Compatible Simple and Easy to Use Support If you have any questions or need help don’t hesitate to contact us via our profile page or Support page. Compatible with WPML, Visual Composer 5.1.x, Bootstrap 3.x. Reflekt has been tested with browsers IE11, Firefox, Safari, Opera, Chrome, Edge.